Do you have a family member or friend who is facing a difficult challenge and needs a little encouragement? This EXCLUSIVE inspirational poem will surely let him or her know that there is "light at the end of the tunnel!" 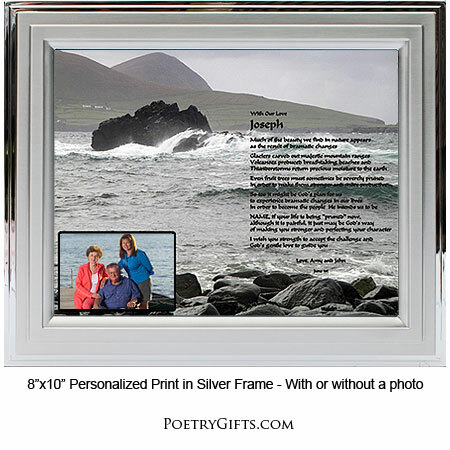 Personalize the print with names and a heartfelt message. Your thoughtfulness will surely be appreciated. It can be so hard to stand by and watch someone struggle through a rough patch...You feel so helpless! Maybe your husband or wife has lost a parent, or their job. Or maybe a friend or your son or daughter is getting divorced or is seriously ill. Instead of that feeling of helplessness, why not help your family member or friend along with this inspirational and heartwarming poem. The words will surely touch his or her heart. 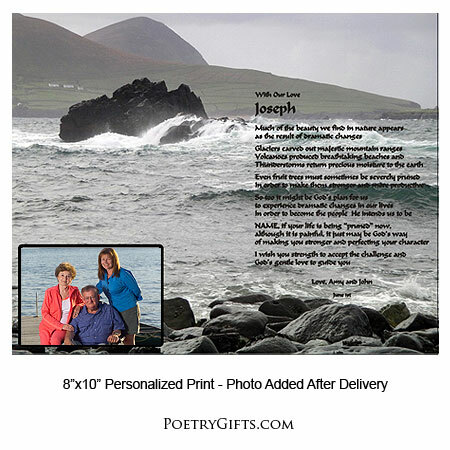 Personalize the print with names and a loving message from you. There is also room for a photo...maybe one of him or her enjoying life. 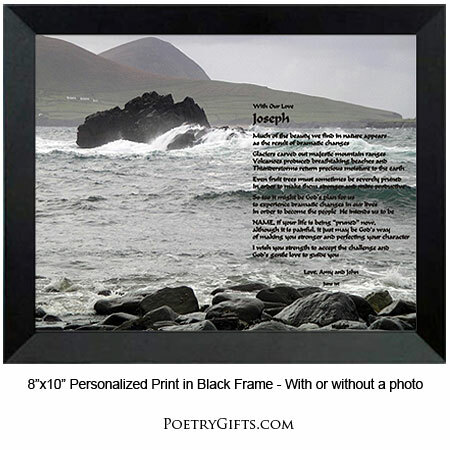 The recipient can display their personalized Poetry Gift on a table, desk or dresser and read the encouraging words over and over again. 3. Closing Phrase and Your Name (as seen after poem) - (Examples: We're Here For You, Your Family; All Our Love, Mom & Dad; We Will Get Through This, Amy; etc.)" God’s gentle love to guide you. Family gave this to our dad during his recent illness. He read it every day.